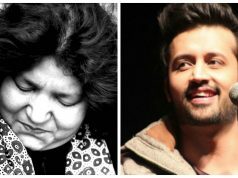 The History of Pakistani Pop Music. 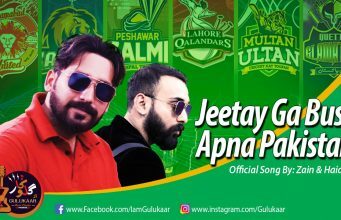 Pakistani Pop music has always been something which attracts because it is a wonderful mixture of beautiful genre ofÂ music which include Classical music,andÂ western versions of Jazz,Rock and Roll,Hip Hop, and Disco. 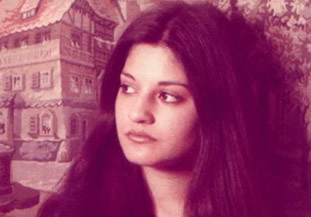 It all started by Ahmad Rushdi’s “KO KO KORINA” in 1966.Then came Nazia Hasan with her brother Zohaib Hasan who took the infant industry to sky-high levels. You can easily find fans of Nazia Jee and Zohaib any where , even at a market place. After them the “Pop Flag” was hoisted by Vital Signs, Strings, and Junoon. 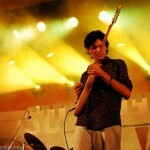 By their efforts “OUR” music soon spread in our country as well as got a reputation in neighbouring countries and ultimately South Asia.Vital Signs’ soft songs, Junoon’s Sufism and String’s freshness is still being praised by music lovers. Our Pop Industry has gained the spot it is holding by passing through many difficulties most of my readers do not know. After partition , the only mediums of entertainment for Pakistanis were Cinemas and Radio. Amount of people visiting cinemas was way more than what we see now.At that time there wereÂ big numbers of cinemas is Karachi, Lahore and Dhaka. The change came in 1966 , when Ahmad Rushdi (now acclaimed as oneÂ of the greatest singers ever livedÂ in South Asia) sang “KO KO KORINA” in the film “Armaan”. 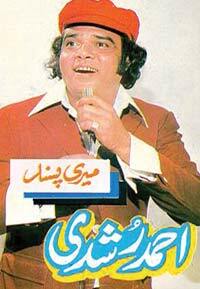 The song was a successful mixture of 60’s Pop , Disco and Pakistani filmi music. This combination is now known as “Filmi Pop”. Rushdi Jee set milestones nobody has set before.But , due to some reasons I do not consider worth mentioning the Bengal Wing fell down. 1970’s proved to be a crash of this newly bornÂ music culture as we lost our Bengali Brothers and Sisters. Cinemas closed, people horrified , Music or asÂ I say FILMI POP lost in mist.. With this existing nightmare, Indian cinema and its play back singers gained immense popularity. Rafi Sahab,Kishore Kumar,Asha Bhosley,Manaday Sahab and Lata Mangeshkar are legends and they truly are! as Music has no boundaries. It was 1980 or so when an Indian producer reached a 15-year-old Pakistani girl living in UK to sing a song in an Indian film. Unusual and epic.The song was “APP JESA KOI” from the film “Qurbani”. The song was a hit on both in Sub continent and UK. A hit after a hit was her fate.I remember the songs “Disco Dewani” and “Aag Lelay”.” Dum Dum Dee Dum Dum”Â still rhythms in my ears. But alas, sigh to Zia Ul Haq the paragon of Islam-ism.He banned everything involving music. And readers believe it or not the English version of “Disco Dewani” known as “Dreamer Dewani” sold more than 14 million records. 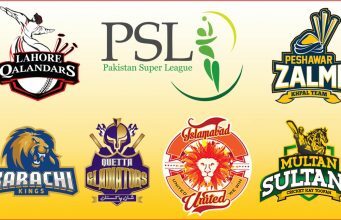 Whats next you think. 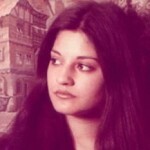 Indian artists like Alisha Chinai, Lucky Ali and Shveyta adopted Nazia’s style and gave birth to Indian Pop. It came from us, the music they play. At last in 1988, after Zia’s demise, the industry started once again from where it stopped.1989, Shoaib Mansoor produced a show for PTV called Music 89 and took the Hassan siblings as the show’s host. 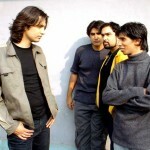 The show introduced creating legends out of bands like Vital signs, Junoon, Ali Haider, Sajjad Ali and Jupiters. MTV and Channel V launched in mid-1990(my birth year also), the Indian music industry started to progress. and overshadowed Pakistani music. 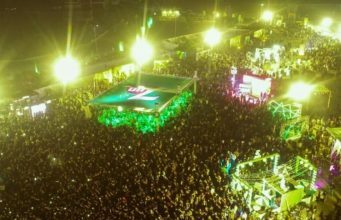 Music industry in Pakistan weakened as India gained in strength. It was during this time that record companies like EMI and Sound Master started taking note of the new and rising stars. 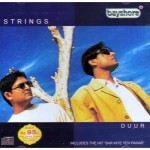 They started signing contracts with bands like “Strings” and “Awaz” who would later become iconic pop bands. Note that Government never helped.In 1994, the Indian government privatised many of television channels which received viewership in Pakistan and thus their artists channels gathered a following in Pakistan.As a result musicians and singers started journeying to India and the UK to release their videos. My dear readers! we never ever gave up. With Indian industry in full power our musician like Hadiqa Kiyani, Strings, Noori, Amir Zaki (my guitar idol) were always praised because of their totally different music sense. Indians were so fed up of their music that they started contracting Pakistani singers. 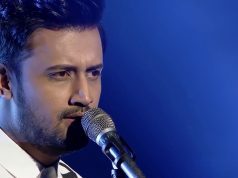 Atif Aslam is one of those names and all of us know that his song is always at the top of the list.In my opinion Indian Music Industry has not produced big names after Sonu Nigam. 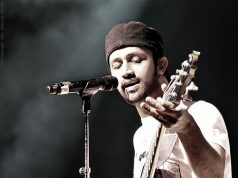 At present , if I talk about Pakistani Pop , I will have to myself satisfactory notions that “MAN! WE ARE AWESOME”. 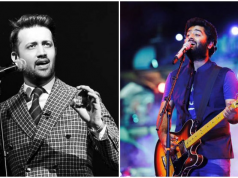 We have Big , I say Big names in our industry.Atif Aslam, Jal, Strings, Hadiqa, Noori,ADP,Bilal,Ali Khan,Roxen,Mizrab,Mizmaar,Meekal Hasan Band and much much more. 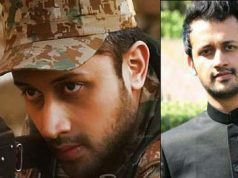 If you got any doubts, all you have to do is, Go to YouTube, type in name of any Pakistani artist like Atif Aslam, click on a video and check the total views the video has got. You will get your answer. That’s all folks. Hope you like the info I shared with you.